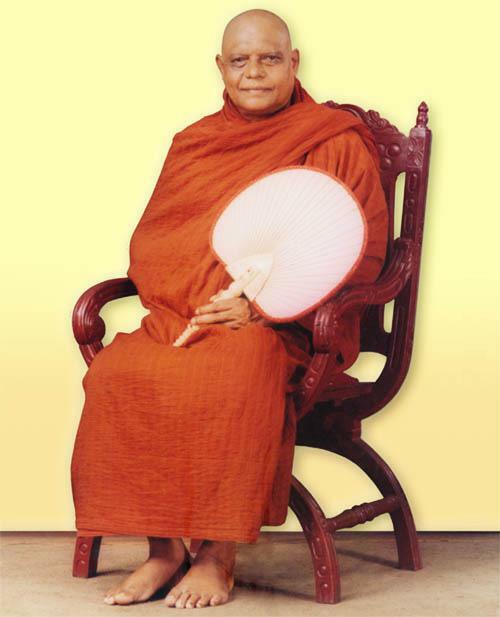 The Mahàthera , Venerable Ariyadhamma , was born on the 24 th of April 1939. At the age of seventeen , on the 27 th of March 1957, h e received the Going-forth ( Pabbajjà ) as a novice ( sàmanera ) and two years later, on the 15 th of July 195 9, took Higher-ordination ( Upasampadà ) with the Sri Kalyàni Yogàshrama sanstha (a ssociation) , an organized group of Forest Tradition monks. He was a senior disciple of the Most Ven erable Ràjakeeya Pandita Kadavedduve sri Jinavansa Mahàther a (passed away: 13 th of July 2003), and from him and other senior monks of the Sri Kalyàni Yogàshrama sanstha, including the Most Ven erable Ràjakeeya Panditaita Màtara Sri Gnànàràma Mahàthera (the Late Abbot and Meditation Master of Nissaranavanaya Forest Monastery, Meetirigala), received instructions in Pàli, Sanskrit, the Tipitaka (Three fold Buddhist Canon) and the meditation method taught by the Late Most Venerable Mahàsi Sayadaw, Aggamahapandita Sobhana Mahàthera, of Myanmar. Therafter he engaged in teaching junior monks. In 1996 he successfully completed a meditation course, training under the Most Ven. Pa-Auk Sayadaw Aggamahakammattanacariya U. â c inna Mahàthera, at the Pa-Auk Tawya Meditation Centre in Myanmar, and was given authorization to teach. The meditation method taught by the Most Ven. Pa-Auk Sayadaw is based on the `The Path of Purification’ ( Visuddhi- magga ). On returning to Sri Lanka in the beginning of 1997, he introduced to the Sri Kalyàni Yogàshrama Sanstha, what he had learnt and practiced in Myanmar. As a consequence of that there are now a number of forest monasteries practicing that method in Sri Lanka. More recently, on the 13 th of March 2006, he was awarded the `Mahàkammattànàcariya’ (`Great Meditation Teacher’) title by the Government of the Union of Myanmar, in recognition of his services in teaching Dhamma and meditation. Although speaking only little English, he has on various occasions visited Malaysia, Singapore, Australia and even the Middle East (for the benefit of the Sinhalese engaged in work there) on invitation to give Dhamma talks and conduct meditation retreats. In Sri Lanka he usually has many invitations to give Dhamma talks, etc. Many of his Dhamma talks have been transcribed and printed for free distribution, including one or two booklets translated into English and Mandarin. Previously, when serving as the Senior Secretary and now the Spiritual Director of the Sri Kalyàni Yogàshrama Sanstha there are duties connected with the administration of the Order of monks ( Sangha ), within the Association, that he attends to. Even though he has many duties, he is easy to approach by those who come , for whatever reason, to seek advice, pay respects, etc. Many are attracted by his kind and gentle disposition ( mettà ), good conduct, vast knowledge and wisdom. I need the full address of the temple. thank you. I would like to know where Ven. Ariyadhamma’s main monastery is and if a 8 precept nun can go to practice meditation? which has a number of felale medidators.